Most customers pay on time and it’s business as usual. However, a select few are indifferent and make you wait. They have the money but there is no sense of urgency to pay you. Some even string you along for months on end. The faster you solve this problem, the faster you can get paid. Yet countless business owners put up with this aggravation of non-payment for years. They feel stuck because they don’t want to lose clients. The fact is, there are proven strategies to combat this common problem, but it’s business as usual and they continue in their frustration. This problem is more common than you may think. I have worked to solve these everyday challenges with fortune 500 companies as well as small businesses. The real problem is most business owners do virtually nothing to get help and learn the techniques that break the pattern of past due accounts. They continue to lose money and get frustrated by customers who are great at playing games. Since 1989 CJM Billing Solutions, Inc. has been helping businesses just like yours experience greater cash flow and increased revenue. We work with small businesses and fortune 500 companies to give them the tools needed to stop people from paying late and teach proven methods so frustrated business owners can enjoy greater success. Learn how to deal with past due customers and bring them into a habit of payment. 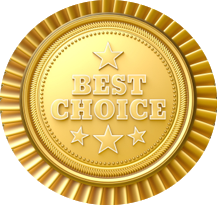 Influence current customers to pay on time and set the tone for new customers to stay current? CJM is the leading consulting firm and we are experts in faster payments and higher revenue. It takes a special kind of person to run a business but it takes experience to bring the money in with little or no hassle. Visit us at CJM Billing Solutions, Inc.or get our quick guide at Top 10 Billing Secrets. When customers pay on time, it feels great to be in business. However, when people string you along and they don’t pay, business becomes stressful, difficult and aggravating. Some customers are so good at not paying their bill, they owe hundreds and sometimes thousands of dollars. They love the game of “cat and mouse” with your money. How long are you going to allow this to happen? The answer is up to you. We have been solving this age old problem for over 26 years and we work tirelessly to with many businesses to end the difficult cycle of non-paying clients. Since 1989 CJM Billing Solutions, Inc has been helping businesses just like yours experience greater cash flow and increased revenue. We work with small businesses and fortune 500 companies to give them the tools needed to stop people from paying late and teach proven methods so frustrated business owners can enjoy greater success. Learn how to deal with past due customers and bring them into a habit of payment. Influence current customers to pay on time and set the tone for new customers to stay current? 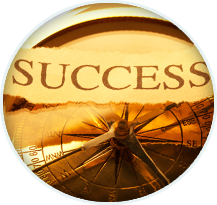 CJM is the leading consulting firm and we are experts in faster payments and higher revenue. It takes a special kind of person to run a business but it takes experience to bring the money in with little or no hassle. 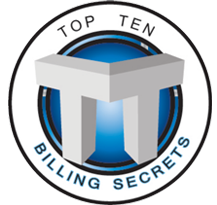 Visit us at CJM Billing Solutions, Inc.or get our quick guide at Top 10 Billing Secrets.